Right Imaging for Best Surgical Results! In order to achieve predictable results in surgery, it is important that the surgeon utilizes appropriate diagnostic tools and methods specific to the planned procedure. The surgeons at Piney Point Oral and Maxillofacial Surgery are familiar with all the protocols for appropriate radiographic imaging and have all the latest radiographic technology. For tooth surgeries (such as wisdom teeth removal and dental implant placement), the essential diagnostic tool is the panoramic X-ray (Panorex). 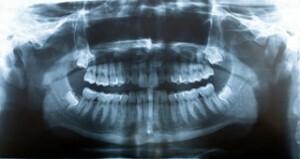 Regular dental X-rays (periapical or bitewing) are inadequate for wisdom teeth because they do not provide the surgeon with a complete picture. Standard dental X-rays have a limited field of view and, therefore, rarely show the wisdom teeth in their entirety. A panoramic X-ray, on the other hand, provides a complete view of the jaw and teeth. The panorex shows the teeth and roots and their stages of development. It also shows their relationship to adjacent teeth, sinuses, and nerve canals. The panorex enables surgeons to accurately diagnose and plan surgeres of the teeth and jaw. In patients with deeply impacted wisdom teeth, or when there is evidence of pathology, such as bone cysts or tumors, or if there is question about bone anatomy regarding a dental implant, cone beam cat-scan technology may be recommended in addition to the panorex. This helps the oral surgeon to further assess the position of the area of interest, the size of related defects, and the proximity of vital structures, such as sinuses or nerves, etc. TMJ disorders or nerve related injuries, an MRI scan is helpful. 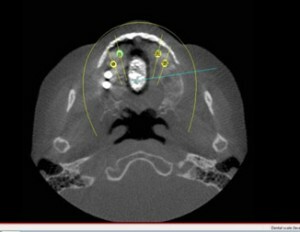 Our surgeons at Piney Point Oral and Maxillofacial Surgery are trained to read these scans at this level. These scans allow soft tissue pathology to be identified and is a good indicator of seeing inflammation and edema in tissues. Finally, 3 D scanning is the latest in digital technology involving radiography. With 3D technology, we are able to appreciate boney anatomy on a much more comprehensive scale. With 3 D scanning, the ability to make surgical guides based on the scans to place dental implants accurately. 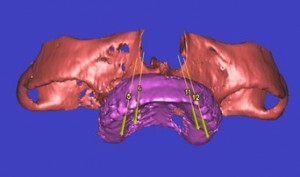 3D scanning also allows the surgeon to make reconstruction and orthognathic surgery much easier giving access to computer modeling software to recreate the facial bones. For patients in Houston, Bellaire, West University, Sugarland, Galleria, Hunters Creek Village, Tanglewood, Lamar Terrace, Meyerland, Stafford, Katy, Memorial, Heights, and Mid-town, there are several options regarding radiographic imaging and our surgeons at Piney Point OMS will have the most available radiographic equipment for your needs. Comments Off on Right Imaging for Best Surgical Results!